See what your personalised gift voucher could look like with a free no-obligation proof of your design. 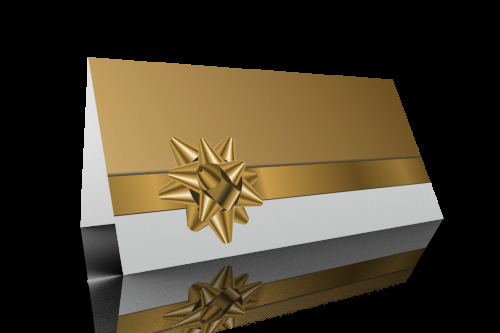 We will create a voucher design from your brief and email it to you. 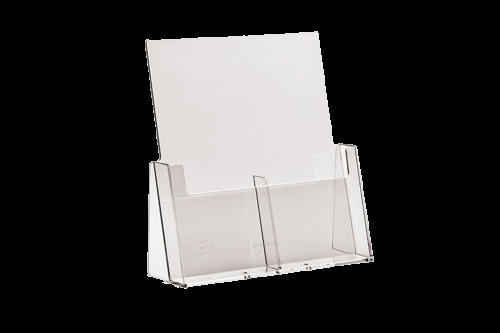 Choose a voucher book template and add your own branding and content. All our templates are created by expert designers. Why Secure Vouchers? What makes us different? Minimum order of just 200 vouchers. 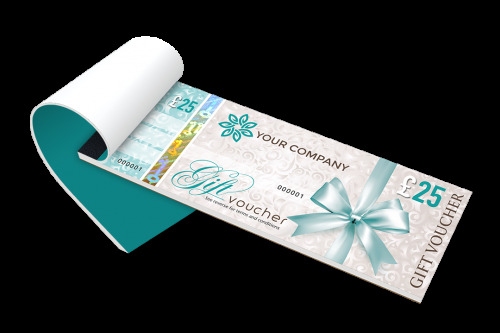 Secure Vouchers are security gift voucher printers, with clients ranging from small independents to High Street retailers and everybody in-between. 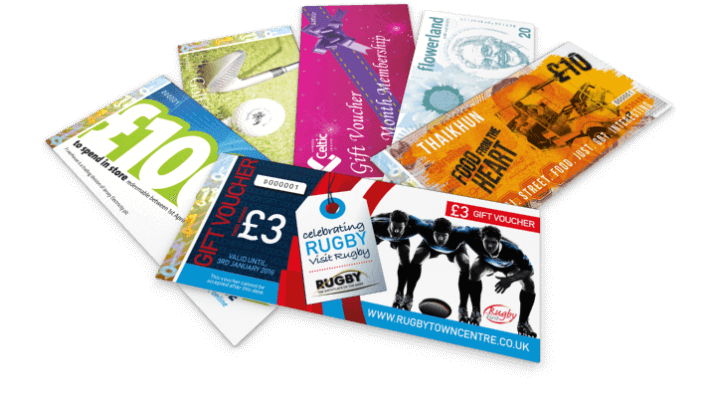 Supplying your own gift vouchers is an excellent way to increase footfall, improve loyalty and maximise revenue for your business. 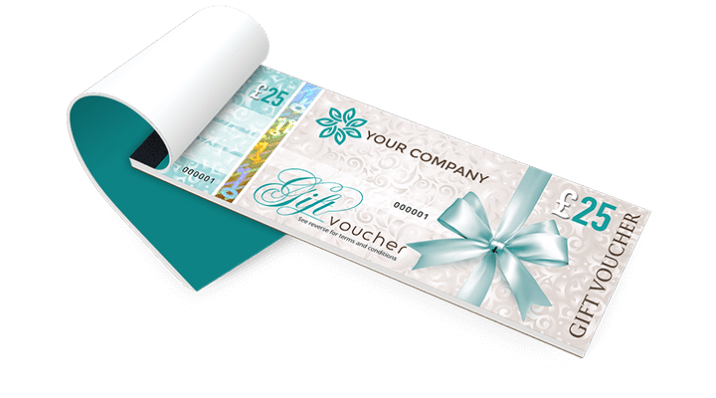 If you’re considering printing gift vouchers for your company, then you have come to the right place. We can work with you to create a unique personalised gift voucher, whether you have your own design or you require us to create a custom one for you. 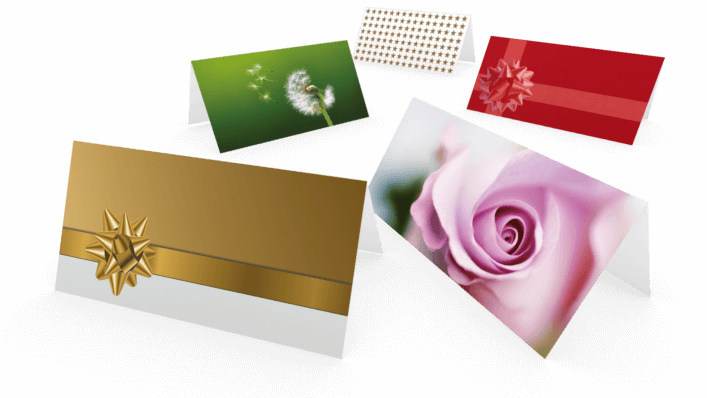 We aim to make the process of gift voucher printing simple and affordable, and even provide a FREE no obligation proof of your personalised gift voucher design. 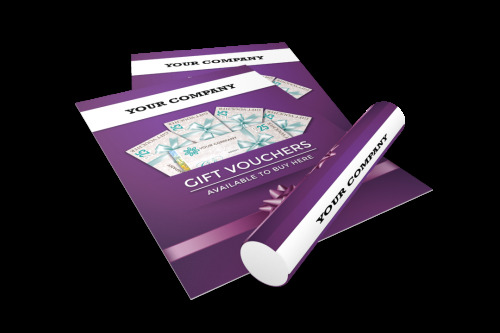 With a low minimum order quantity of just 200 gift vouchers, you can easily try them out for yourself and see how they can benefit your business. 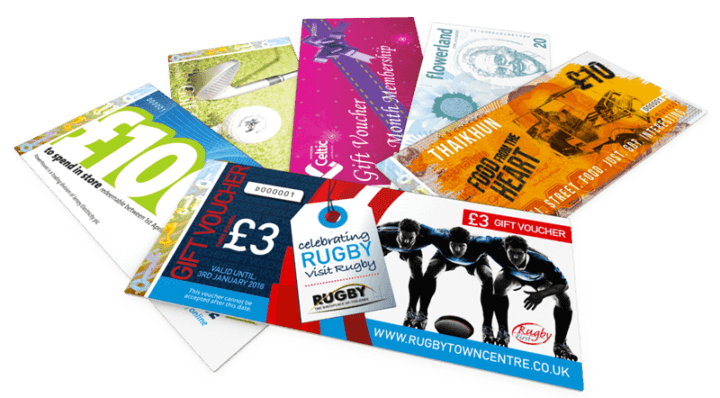 It’s easy to order your gift vouchers online, but if you prefer, you can call us on 0800 6893235, and a member of our gift voucher printing team will be delighted to assist you. 2	Add to basket, then request proof or proceed.